Bigger is not always better, and this unique project by MAKE Architecture Studio shows us that going small can be just as impressive. With flexible spaces, a smaller footprint, a minimalist design and lots of natural light, the House Reduction in Australia is a family home that packs a mean modernist punch in just 2,300 square feet. The minimalist home is the first from Victoria-based MAKE Architecture, who completed the construction just last year. Built with sliding walls and big windows for plenty of natural light, the home’s spaces are also flexible and can be altered to meet the large family’s ever-changing needs. 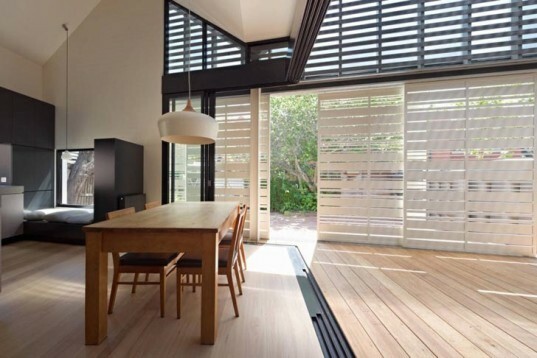 The external, movable screens also protect the house from the noise of nearby roads, while adding some shade during hot Australian summers. The open and airy plan also emphasizes outdoor/indoor living and encourages inhabitants to enjoy the garden and spend some free time outdoors. 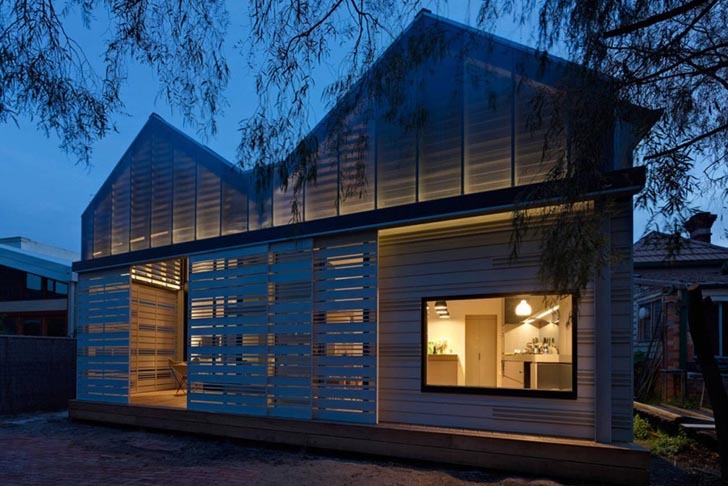 MAKE believes that by creating smaller, more flexible houses, they are doing their part to improve the life of their clients and to conserve resources. These houses and interiors really defined the phrase "Bigger is not always better." Wonderfully made houses and simple yet great looking interiors. These should be the components of our homes today! very beautiful design can i have the plan! The minimalist home is the first from Victoria-based MAKE Architecture, who completed the construction just last year. Built with sliding walls and big windows for plenty of natural light, the home's spaces are also flexible and can be altered to meet the large family's ever-changing needs. The external, movable screens also protect the house from the noise of nearby roads, while adding some shade during hot Australian summers. The open and airy plan also emphasizes outdoor/indoor living and encourages inhabitants to enjoy the garden and spend some free time outdoors.